← When you have too much time on your hands…. I found a recipe of a double chocolate chip cookies the other day. 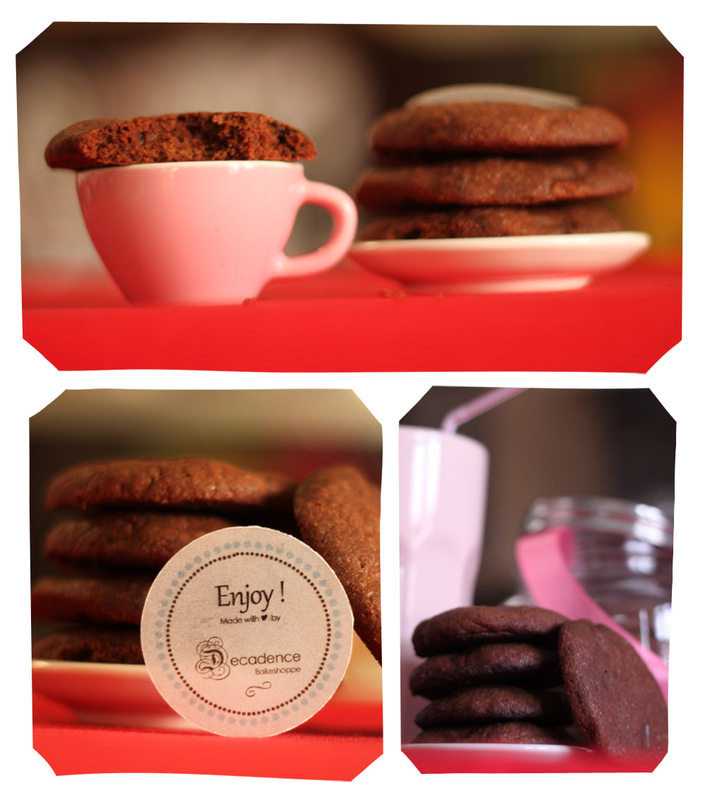 Being a chocoholic and a bias baker that I am – I decided to try out the cookie recipe. One always love a good chocolate cookies anyway, right? It is rich, thick and slightly chewy with strong chocolate flavour. Of course, being me – I added a little bit more cocoa powder than what the recipe calls for! 🙂 These turn out a bit larger than I expected, but hey I cannot complain with such chocolatey baked goodness! Credits for photo template goes to Pugly Pixels!